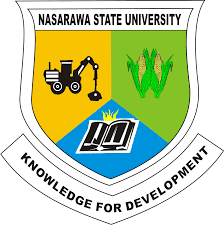 This is to inform all the newly admitted students of the Nasarawa State University Keffi (NSUK) that the management of the institution has announced the details of the 16th matriculation ceremony. The 2017/2018 students’ matriculation comes up on Friday, 9th March, 2018. The exercise will take place at the convocation arena at 10.00am prompt. Matriculating students are advised to collect their Academic Gowns for the ceremony in their respective Faculties beginning from Tuesday, 6th March, 2018. Read Also: NSUK Freshers’ Orientation Exercise Schedule. Students must return their Academic Gowns on or before Tuesday 13th, March 2018 to the Office of the Dean. Failure to return the Gowns on the said date shall attract a payment of N5,000 and a sanction. Note that any student that has not registered on the day of matriculation should consider himself /herself as having forfeited the admission.